At TXG Socks NZ we often jokingly refer to “our sock workshop” and the arduous journey each pair of socks undertakes to arrive safely at your home. However, there is a very serious side to the manufacture of each and every pair of TXG socks which we would like to share with you. We are very proud of the complex and stringent manufacturing process that every pair of TXG socks goes through, to create, what we think are the best, highest quality medical grade compression socks available worldwide. 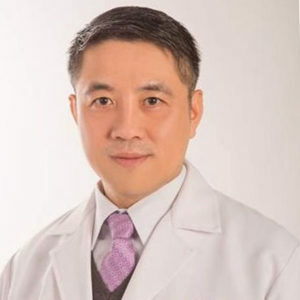 TXG compression socks and stockings have been designed in close consultation with TXG's Medical Consultant Dr Guang Yi Liu, a Cardiovascular Surgeon specialising in the treatment of Varicose Veins at the Guang Qian Clinic in Taiwan, he provides ongoing medical expertise to TXG in the development of medical grade compression socks. Bunker Chen is TXG's Sport's Consultant who works alongside the TXG team in the development and testing of the TXG range of sport's compression products. 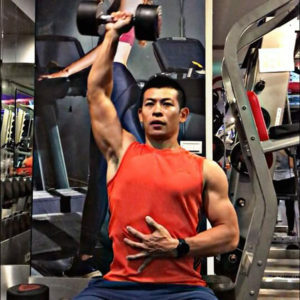 Bunker attended the National Taiwan University of Sport and is a well known and respected coach for Marathon and Triathlon, 300 gyms and Pose Method Gym training and events. TXG is committed to using only high-quality yarns from reputable environmentally friendly and sustainable manufacturers. Each type of raw material is carefully researched and compared to ensure that they are the highest quality available worldwide. TXG Socks does not use dyed raw materials. TXG is an Official Qualified Dyeing Agent, this accreditation ensures that no dangerous dyes or chemicals are used in the dyeing process. All dyes and chemicals used are eco-friendly and are tested by OEKO, a worldwide independent testing and certification system for raw and finished textile products. The raw materials are placed into a Dyeing Machine and environmentally friendly dyes and chemicals are applied, this process takes 4 to 5 hours. The textiles are then spin-dried. An automated Potentiometric Titrator is an analytical instrument which analyses the chemicals used and ensures quality control and the correct balance of chemicals is consistent between batches. TXG dyes the raw materials first, before the compression socks are woven (unlike most other brands), the cost of dyeing first is higher, but we choose to do this to ensure a consistent, high-quality of long-lasting colour in every TXG sock. The compression sock hosiery machine and the matching yarn table are placed on the creel of the machine and the computer software of the hosiery machine is selected to the name of the product to be woven. Once the weaving is completed the woven sock falls from the tube into a basket. The price of manufacturing by the manual hand-linked technique is significantly higher than the over-locking and automatic seamless machines as the process is very skilled, painstaking and labour intensive. This technique produces the highest quality seamless join which has no pressure points and is comfortable and long-lasting. This is the only technique used by TXG Socks, the quality of these seams surpasses all other compression sock brands. Each sock is then placed onto a hosiery board (a board which is the shape of a foot and leg) to help the sock retain its shape. The hosiery boards are then rolled into a Stocking Setting Machine, this is like a big steam oven. Steam is used to heat the socks and the high temperature disinfects and sterilises the socks. Once the heat is turned off, the socks are left to cool down. TXG Socks uses the internationally approved Satra Pressure Detector to ensure that the pressure value of their socks is accurate to the international mmHg standard. Each pair of socks is carefully checked. Then wrapped in a soft, silky bed of the finest tissue paper, that money can buy. Then carefully lowered into the finest, custom designed cardboard box, that money can buy. Then gently placed into the strongest packing box, that money can buy. When the TXG socks arrive in our TXG NZ Sock Warehouse, they are carefully inspected by our enthusiastic, sock loving Sock Checkers. When you place your order, your socks are carefully selected and gently placed into the finest courier bag, that money can buy. Our trusty and reliable courier collects your order from us and they begin their final journey to their new home, at your place, where they will be your loyal companions for many years. We hope you have enjoyed this glimpse behind the scenes of TXG Socks. We love talking about our socks, if you have any questions, we're just a phone call or email away.